View Large Image Thimbleart Butterfly Kisses Centerpiece Kit! 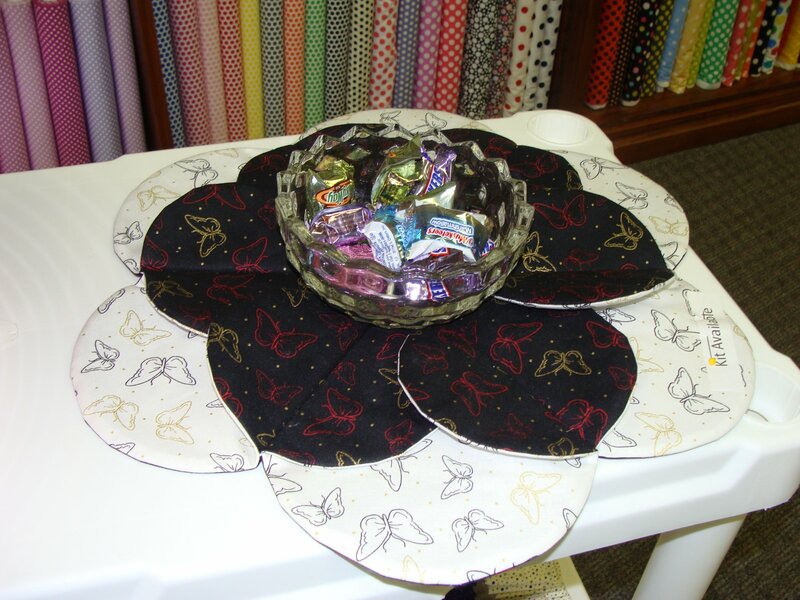 Thimbleart Butterly Kisses Centerpiece Kit includes all fabrics and pattern with step by step instructions to complete the centerpiece. The finished size is 18" x 18". View Large Image Thimbleart Christmas Holly Centerpiece Kit! 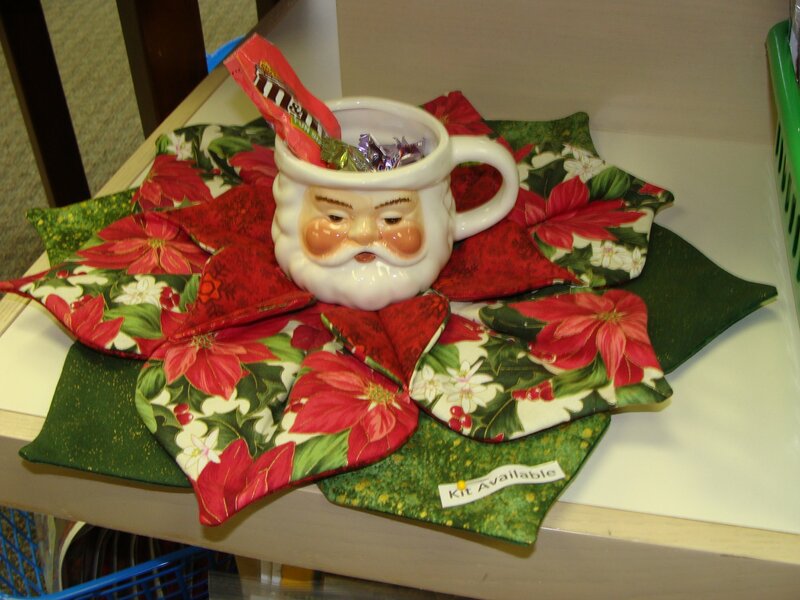 Thimbleart Christmas Holly Centerpiece Kit includes the pattern with step by step instructions and Fabrics to complete the Centerpiece. Finished size is 20" x 20". 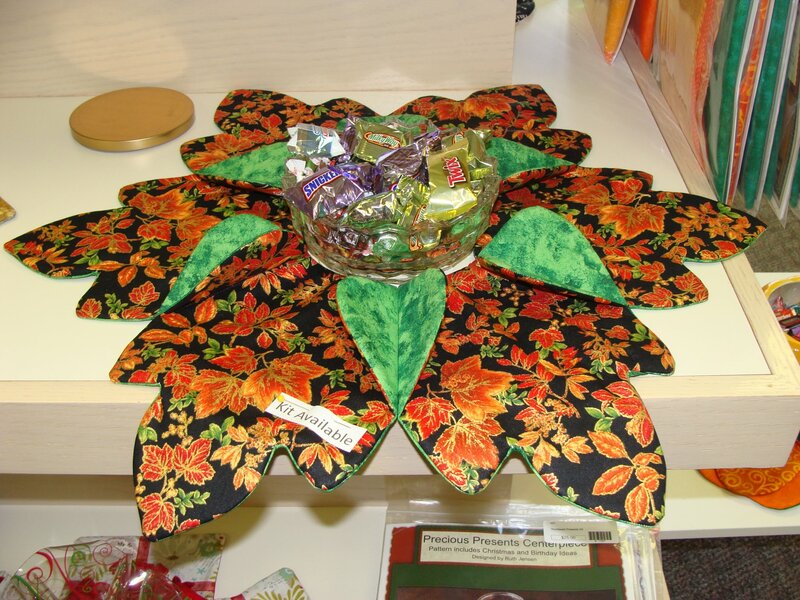 View Large Image Thimbleart Fall Leaf Centerpiece Kit! Black Kit! 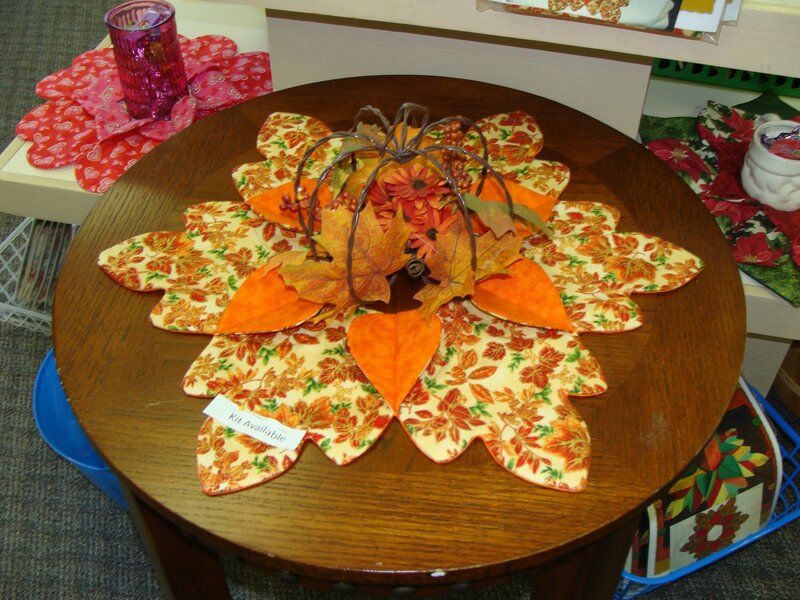 View Large Image Thimbleart Fall Leaf Centerpiece Kit! Cream Kit! 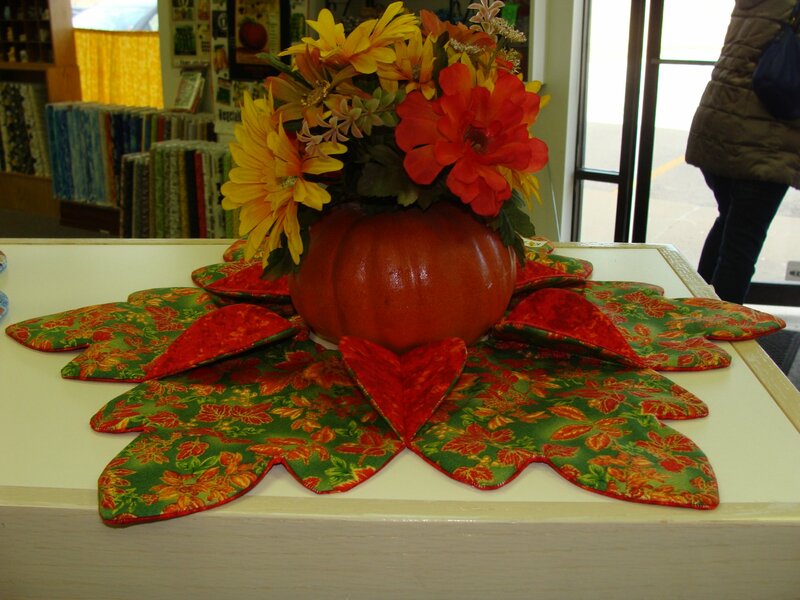 View Large Image Thimbleart Fall Leaf Centerpiece Kit! Green Kit! 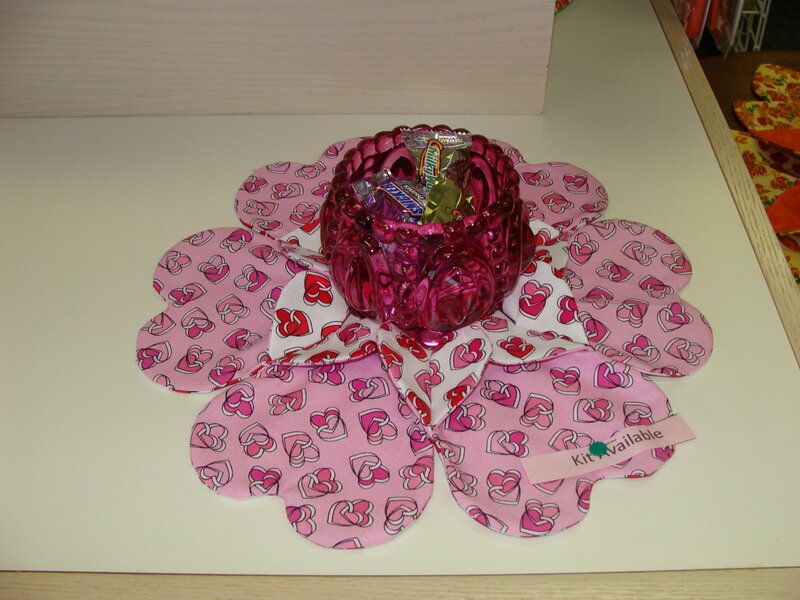 View Large Image Thimbleart Heart to Heart Centerpiece Kit! Small Heart! View Large Image Thimbleart Poinsettia Centerpiece Kit! 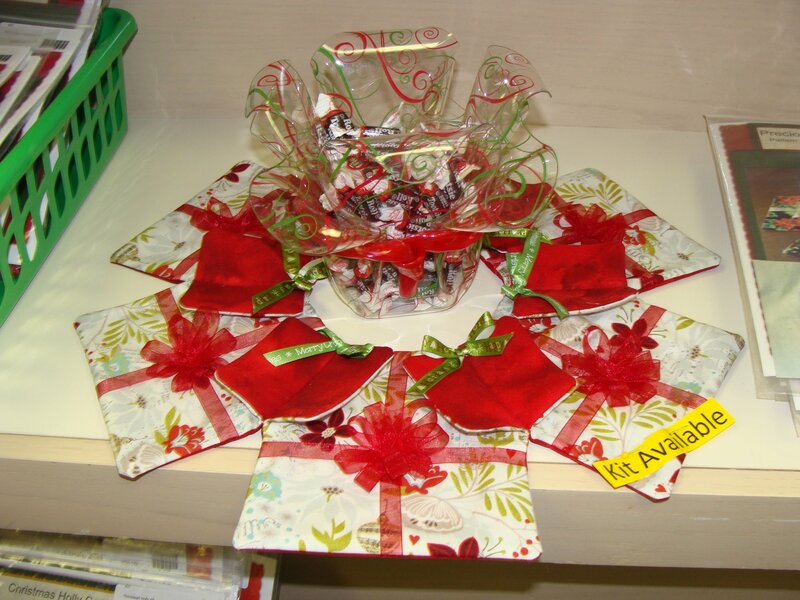 Thimbleart Poinsettia Centerpiece Kit! 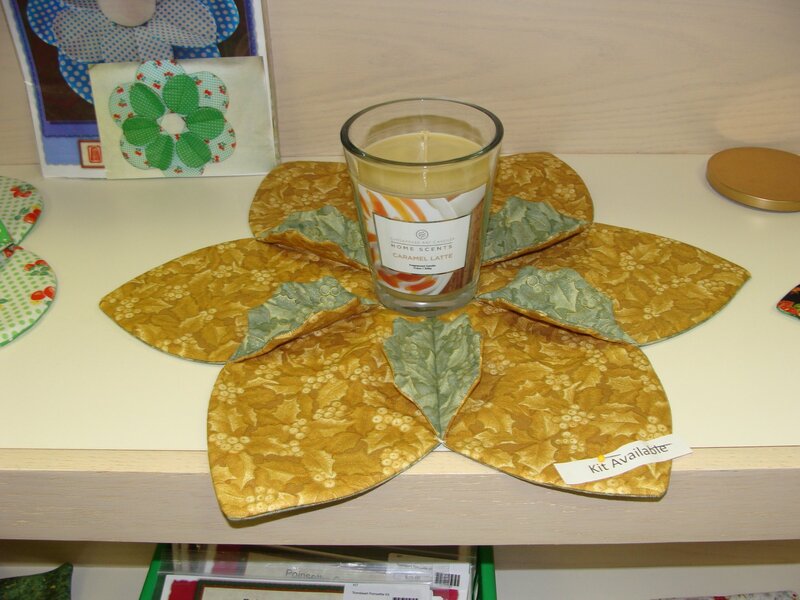 Includes Patterns with step by step instructions and fabric to make the completed Centerpiece. Finished size is 20" x 20". View Large Image Thimbleart Precious Presents Centerpiece! Christmas! Thimbleart Precious Presents Centerpiece Kit includes fabrics and Pattern with step by step instructions to complete the centerpiece. The pattern offers a Christmas version and a Birthday version. The finished size is 15" x 15". View Large Image Thimbleart Pumpkin Centerpiece! 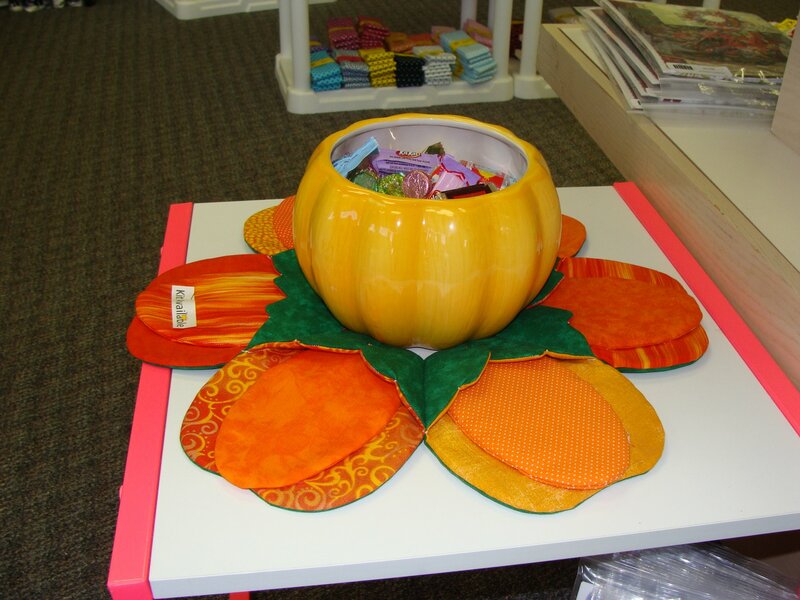 Thimbleart Pumpkin Centerpiece Kit includes pattern with step by step instructions and fabrics to complete the Centerpiece. Finished size is 17" x 17". View Large Image Thimbleart Spring Alwasy Comes Around! Thimbleart Spring Always Comes Around Kit includes fabric and pattern with step by step instructions to complete the centerpiece. Finished size 17" x 17". View Large Image Thimbleart Sunflower Centerpiece Kit! 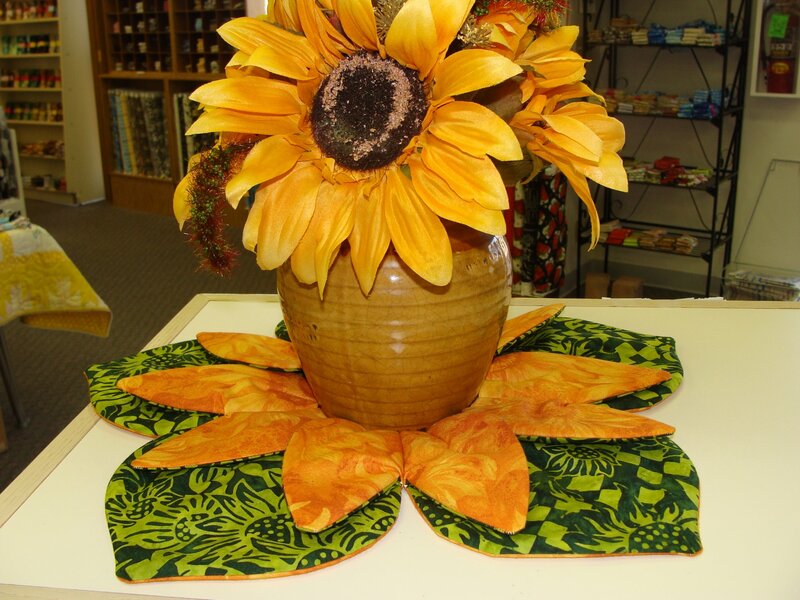 Thimbleart Sunflower Centerpiece Kit includes Pattern with two versions and fabric to complete the Centerpiece. Finished size is 17" x 17". View Large Image Thimbleart The Versatile Circle Centerpiece! Butterflies! 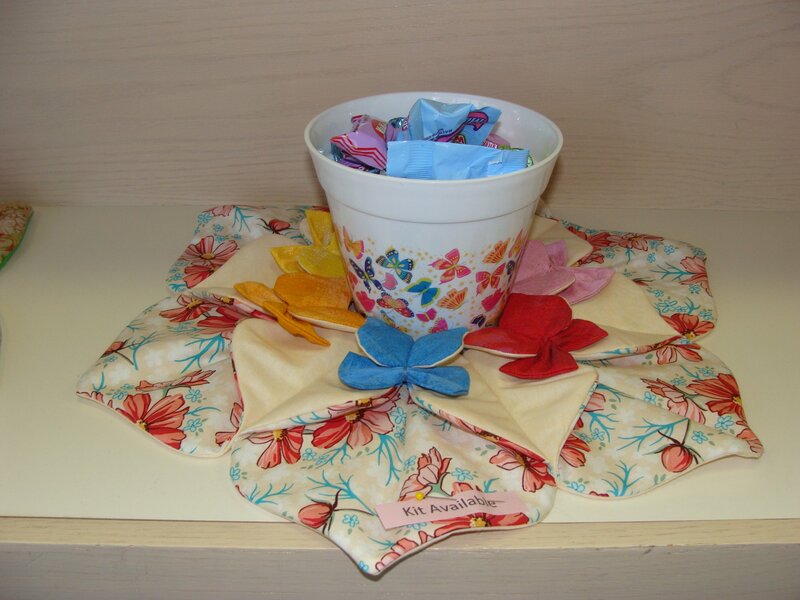 Thimbleart The Versatile Circle Centerpiece Butterflies Kit includes fabrics and pattern with step by step instructions to complete the centerpiece. The finished size is 15" x 15". View Large Image Thimbleart The Versatile Circle Centerpiece! Celebrate! 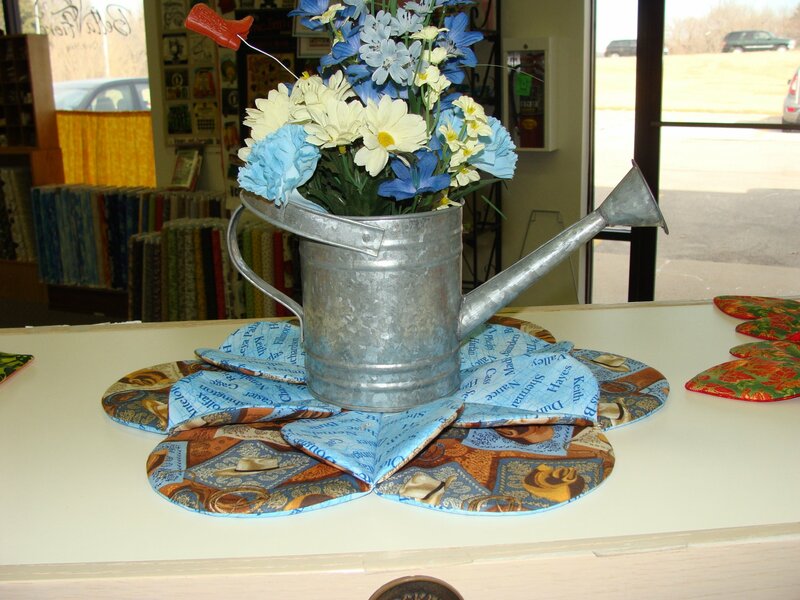 The Versatile Circle Centerpiece Kit includes fabric and pattern with step by step instructions to complete the centerpiece. Finished size 15" x 15. 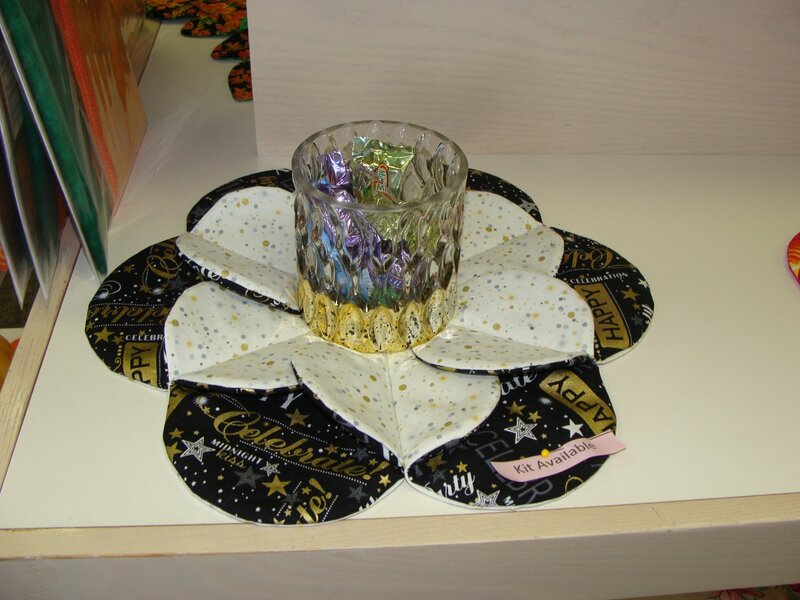 This centerpiece can be used for New Year's Eve, Birthdays or an celebration. View Large Image Thimbleart The Versatile Circle Centerpiece! Cherries! 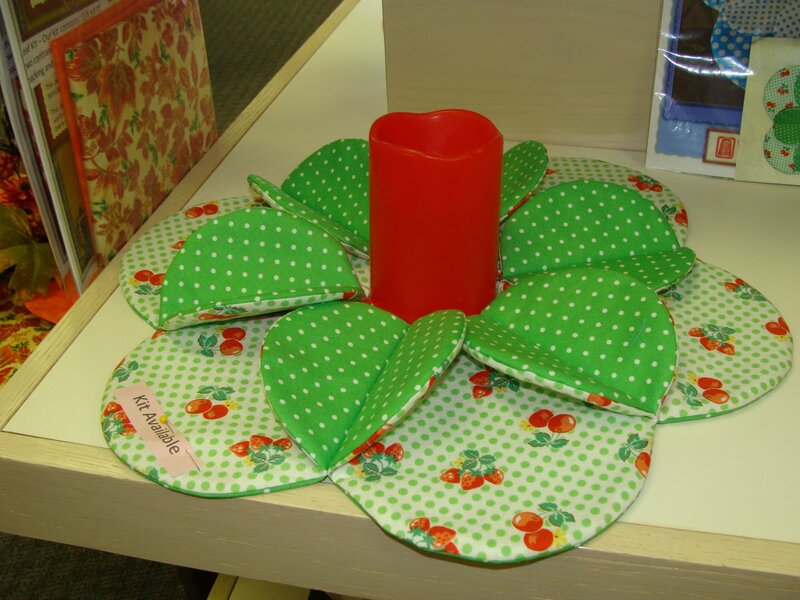 Thimbleart The Versatile Circle Cherries Centerpiece includes all fabric and pattern with step by step instructions on how to complete the centerpiece. The finished size is 15" x 15". View Large Image Thimbleart The Versatile Circle Centerpiece! Poppies! 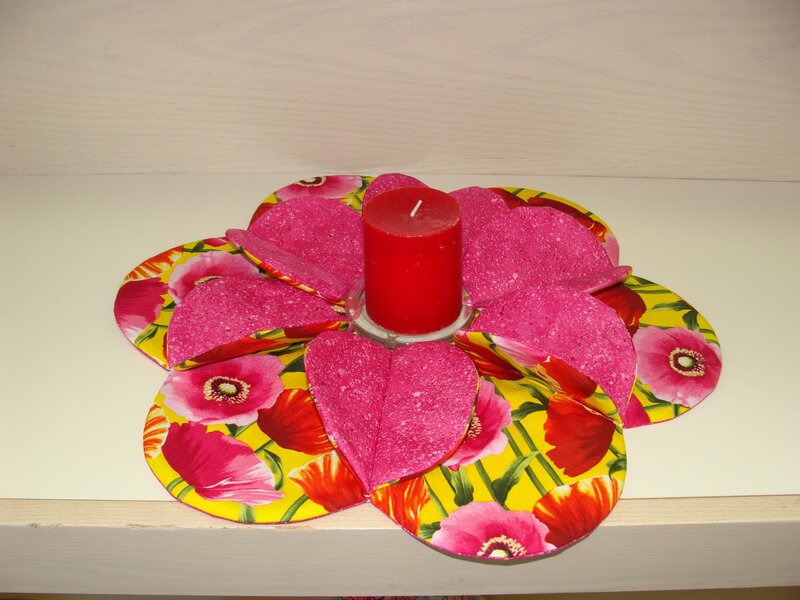 Thimbleart The Versatile Circle Centerpiece includes fabrics and pattern with step by step instructions on how to complete the centerpiece. The finished size 15" x 15". 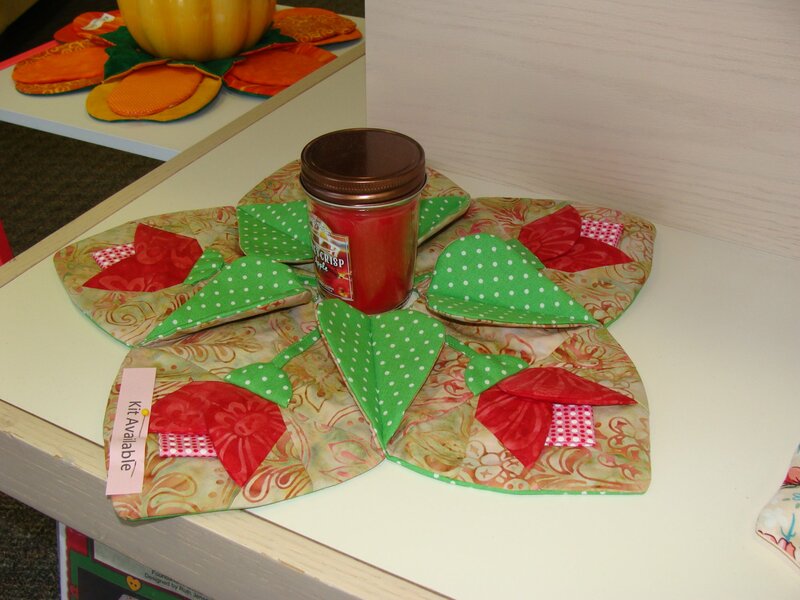 Thimbleart The Versatile Circle Centerpiece Kit includes fabrics and pattern with step by step instructions on how to complete the centerpiece. The finished size is 15" x 15".